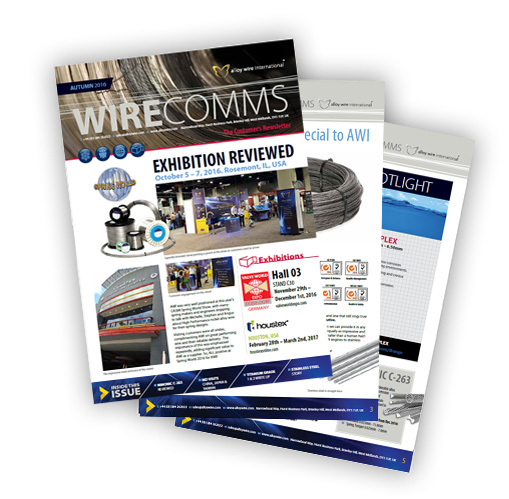 Our Summer newsletter features new staff, new brochures, new wire diameters and more! Download it today. 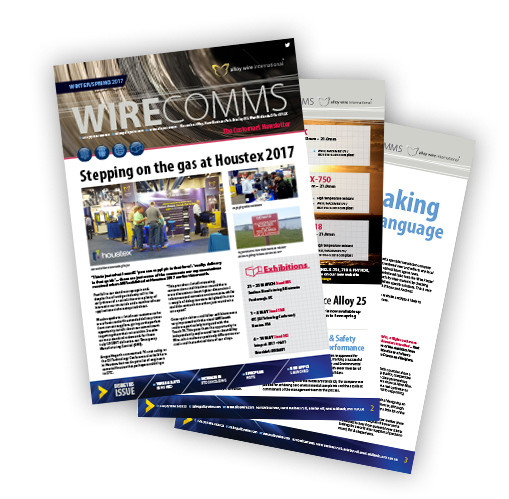 Featuring our CASMI Spring World Show review, our bigger profile wires, increased Stainless Steel demand and much more! 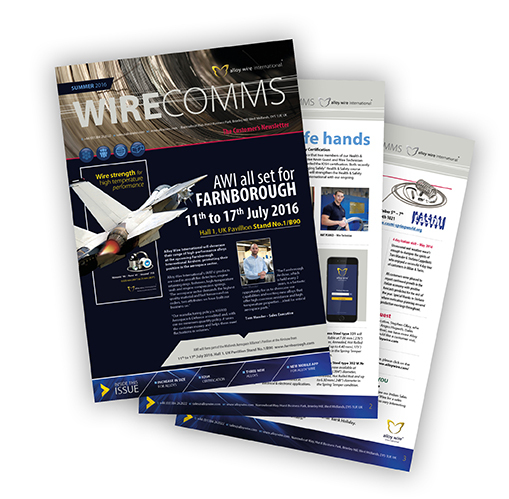 Featuring news for Farnborough Airshow, our new mobile web App and much more! 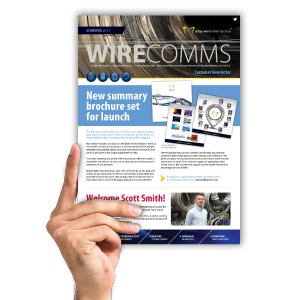 Featuring news from Wire 2016, our brand NEW technical brochure, NEW larger diameter wires and more! 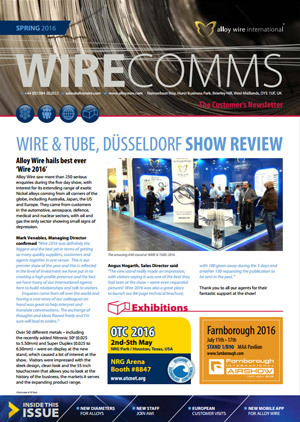 Download the Spring 2016 newsletter now.